Why do we prefer original paintings to forgeries? Why does wine taste better when we think it’s expensive? And why do people pay millions of dollars for celebrity memorabilia? It turns out that there is a psychological theory that explains all of these quirks of pleasure, and it’s one that can help us improve our lives. In this fascinating, wide-ranging, and often very funny class, Dr. Bloom talks about the pleasure (and pain) of raising children; he explores the mysterious appeal of extremist groups like ISIS; and he explains why we aren’t any happier now than we were in the 1950s. This class is an engaging introduction to the new science of pleasure. 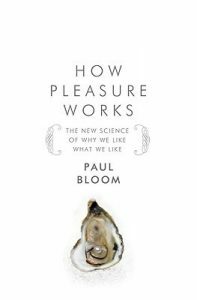 Paul Bloom is the Brooks and Suzanne Ragen Professor of Psychology and Cognitive Science at Yale University. He has received numerous awards, including the Lex Hixon Prize for teaching excellence and the one million dollar 2017 Klaus J. Jacobs Prize for exceptional research into the minds of children. He is the author of five books, and has written extensively for popular audiences, including articles in The New York Times, The Atlantic, and The New Yorker.